We're obsessed with Christopher Kane, we'd like to be his friend. First he made the galaxy dresses and skirts in 2010 (we cried about wanting one) and then he led the pack that took neon out of the house-music-80s-infused hole it was sitting in, and made it acceptable for us twenty something middle-to-working class normal people to wear. Thank you. However, WHY did it take the high street so long to catch on? The markets did, everytime I went up North the Leeds markets were going crazy for it. But there is something about buying lace from a stall with a man with grubby finger nails, takes the class out of it. 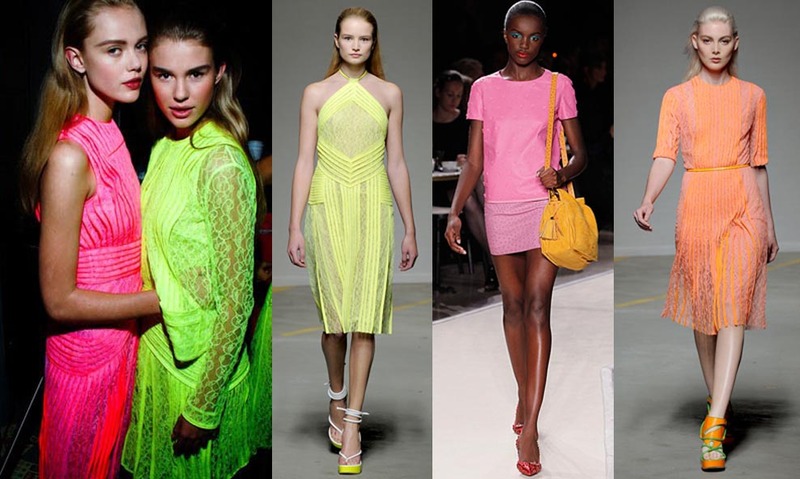 These pictures have just made me love neon.